“Welcome to the United Nations. I am so pleased to take part in this first-ever Local and Regional Governments Forum at the High-level Political Forum. I thank the Global Task Force for Local and Regional Governments, UN DESA, UN-Habitat and the Local2030 network for your work. I am delighted to see so many distinguished leaders and experts from local and regional governments around the world with us today. I am here for a simple reason. We need you. We need the driving force and creative energy of local and regional governments. The Sustainable Development Goals can’t happen without you. We need your leadership, your expertise and your strong voice. This Forum is about supporting you and empowering you in this great global mission. It is the beginning of a new and ground-breaking Local2030 partnership between the United Nations system and local and regional governments. I know that the Global Task Force, together with the UN system, has worked tirelessly over the last year to develop an ambitious Local2030 agenda that will help reframe how the world implements the 2030 Agenda at the local level. Today, you will discuss the challenges and opportunities for SDG implementation at the local government level. But, of course, I know you are here to do much more than talk about it. You are walking the talk — turning words into action. Tomorrow you will announce new commitments to unlock bottlenecks and forge new solutions in large cities, remote towns and at-risk communities. We are extremely excited about it – and I thank you for your leadership. As we look ahead together, I would like to stress two points. First, quite simply, we at the global level cannot overemphasize the importance of the local. More than 4 billion people live in urban areas today. This number will reach 6 billion by 2050. In developing countries, the urban population will double, and the area covered by cities could triple by 2030. Much of this growth will occur in informal settlements. By 2030, the world is projected to have 43 megacities with more than 10 million inhabitants, most of them in developing regions. But some of the fastest urban growth will take place in cities with fewer than 1 million inhabitants, many of them in Asia and Africa. This means that SDG action is not only for the largest of megacities. Smaller towns with high-growth rates are also key to SDG implementation. On a recent mission to the Sahel region, I saw first-hand the great need for support to local governments in at-risk countries to develop and implement SDG strategies. These local governments lacked adequate systems to assess data regarding basic services and quality of life, making it difficult to invest strategically. The financing that may be there at the global level is not reaching local governments most in need. Yet these local governments are on the front-lines of the world’s most daunting challenges — from climate-related drought to human-inflicted conflicts. They require support from at the national and international levels, as well as from the private sector and civil society. We need to transform the way the UN system works and supports local governments to help you own and lead on SDG implementation via the Local2030 strategy. 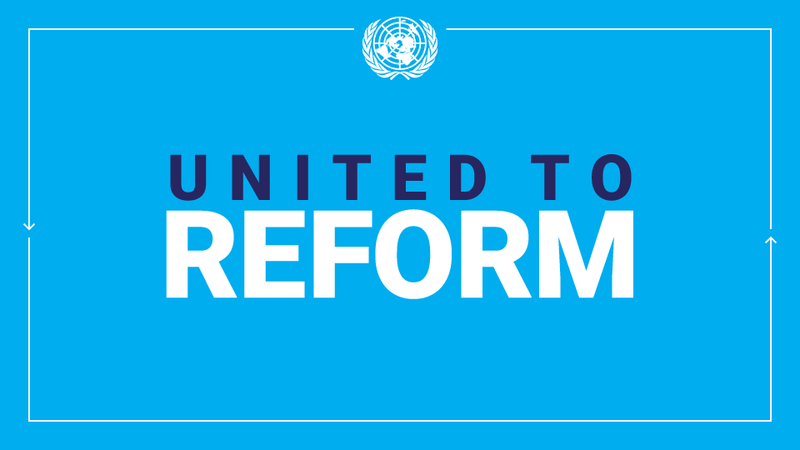 Secretary-General António Guterres is undertaking a process of reform of the United Nations Development System that will revitalize the way the UN works on the ground, facilitating the creation of stronger partnerships between the UN system and governments, business and civil society. We are working to ensure that this 21st century UN system includes a new and innovative strategy to support and build the capacity of local governments. Today, you will share your experience and the work you are advancing in your cities and towns. You will discuss the bottlenecks you face. These proceedings will also greatly inform our work. We are taking close note of your voices and experiences and will incorporate them into the new Local2030 strategy. We know that this strategy must include new tools, including a protocol for local level official and community data for the SDGs. It must include innovative investment funds and a Local2030 facility for local governments – as well as more robust Local2030 expertise in the UN system in the new generation country teams and Regional Economic Commissions. So we are in active listening mode today. I look forward to the outcomes of this meeting and your recommendations, ideas and solutions for the comprehensive and inclusive implementation of the 2030 Agenda at all levels of government. This entry was posted in Sustainable Development Goals-SDG's, UN event on July 17, 2018 by STELLA VUZO.